Welcome! You’re probably here looking for a wedding videographer in the San Francisco Bay Area, or for a destination wedding. Sasha Kino offers cinematic wedding videography in San Francisco, the Bay Area, and destinations beyond. So, let’s be honest. It’s no secret that traditional wedding videography is boring. ‘Let’s put a big video camera on a big tripod and let it run for four hours (or however long the battery lasts). Then you can have four hours of uninterrupted video, complete with long stretches of nothing and several shaky moments when your uncle accidentally kicked over the camera.’ You will watch these four hours of video over and over…yeah right! Sasha Kino leaves this kind of wedding videography in the past. Inspired by years of wedding photography experience, we understand the flow of a wedding. We don’t simply document what happens – we use careful composition, proven cinematography techniques, professional editing, and artful storytelling to create your extraordinary wedding film. Documenting a wedding is in some ways more difficult than actually shooting a Hollywood movie, because a wedding only happens once. You only get one take. As a filmmaker, I know that I need to have all the angles covered. So, for that reason, Sasha Kino brings an experienced team, multiple HD cameras, a vast array of lenses, and equipment to move and stabilize the cameras as necessary to produce the cinematic wedding video experience. 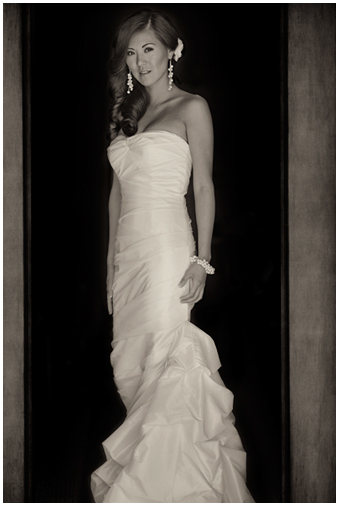 At your wedding, I don’t simply wield a camera – I am the director of photography and the master storyteller. There will be multiple cameras, several shooters, and one cohesive cinematic vision. OK, so what about engagement films? Sasha Kino Engagement Films are a celebration of who you are as a couple, where you’ve been, and where you’re headed together. When you screen your film at the wedding reception, your family and guests will be delighted. It is guaranteed to be one of the most lasting memories from your wedding day.